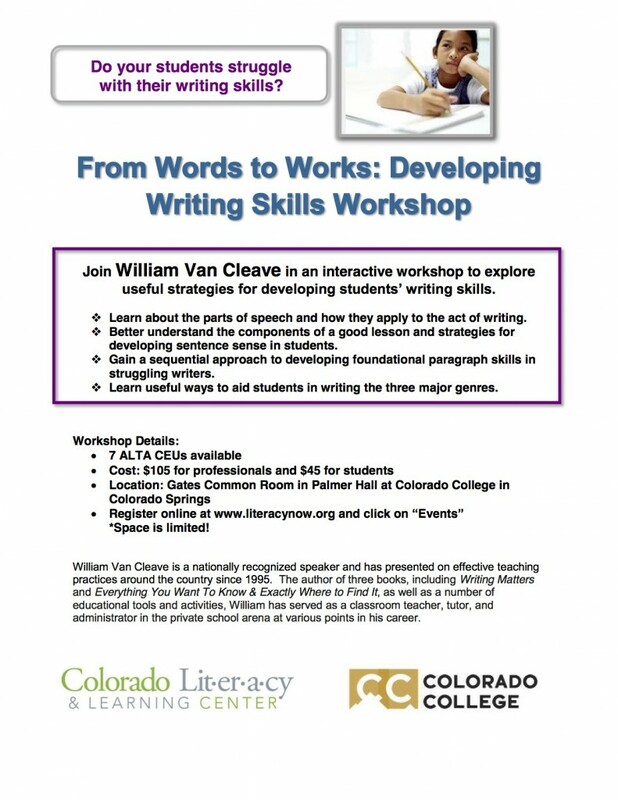 Join the Education Department and the Colorado Literacy and Learning Center for a special workshop on Friday March 11, 2016, 8:30 am to 4:30 pm at Gates Common Room. “From Words to Works: Developing Writing Skills” will explore useful strategies for developing students’ writing skills. This entry was posted in News, Recent Posts by ung. Bookmark the permalink.